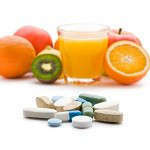 Vitamins like minerals are nutrients that are required by your body in order to function properly. A vitamin deficiency occurs when you do not get enough of a certain vitamin. Vitamin deficiency can lead to various health problems such as dry cornea, scurvy, rickets, and so on. Just like anything else in this world, taking too much of anything will actually do you more harm than good. For instance, overdosing on vitamin A can lead to birth defects, coarse bone growths, hair loss, skin dryness, and more. While your chances of overdosing on a specific vitamin is close to nil, people who take vitamin supplements should still consult with their doctors and make sure that they don’t go over the recommended daily allowance (RDA). How old were you when you first started taking multi-vitamins? Did you notice any changes in your health?